The calendar includes Councilmember contact information and tentative meeting dates. Holidays and conferences generally attended by county officials are also marked. 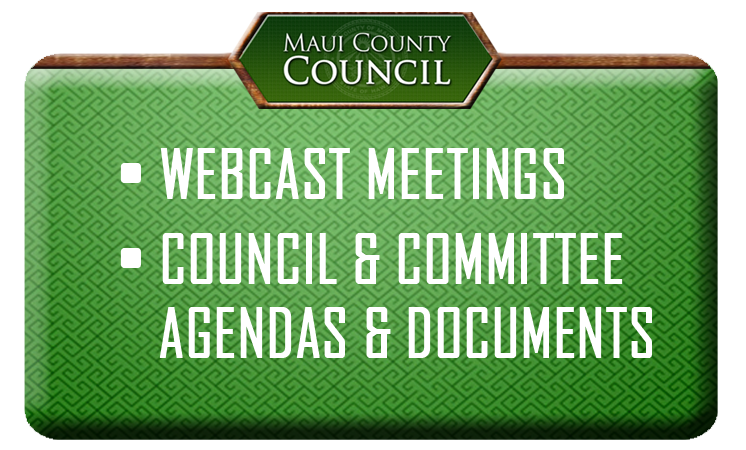 Meeting agendas are posted at MauiCounty.us.